Cold and refreshing Shirataki Noodles with Honey Sesame Dressing. 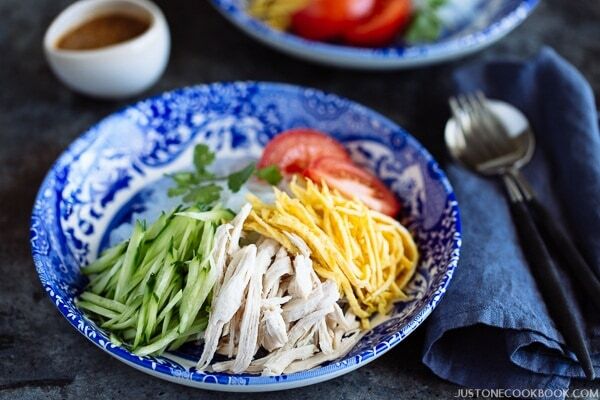 Top the noodles with shredded egg crepe, chicken, and cucumber. 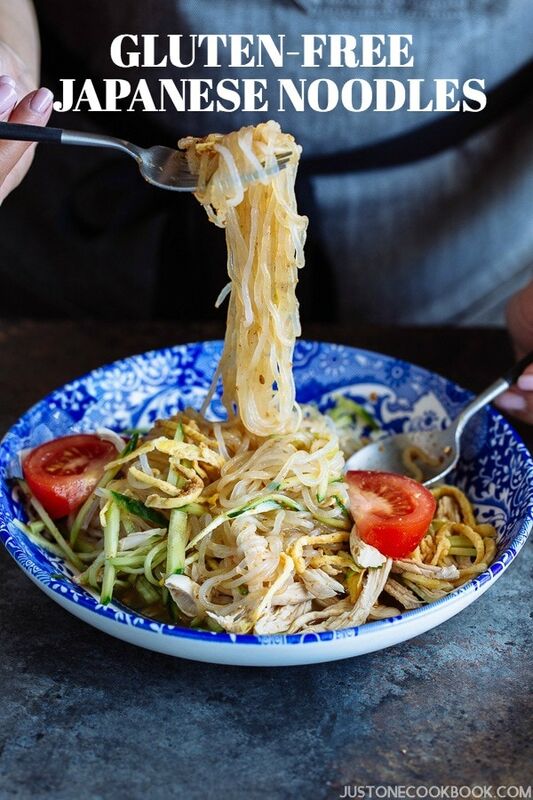 It’s a perfect guilt-free summer noodle that is low in calories. It’s Gluten Free too! We spend our summer in Japan with my family. In case you weren’t aware, the heat during Japanese summers are so brutal; it’s super hot and humid. We lose appetite and become reluctant to cook in the hot kitchen. If you experience similar summer weather, or if you want to eat something light to maintain your figure in the summertime…. 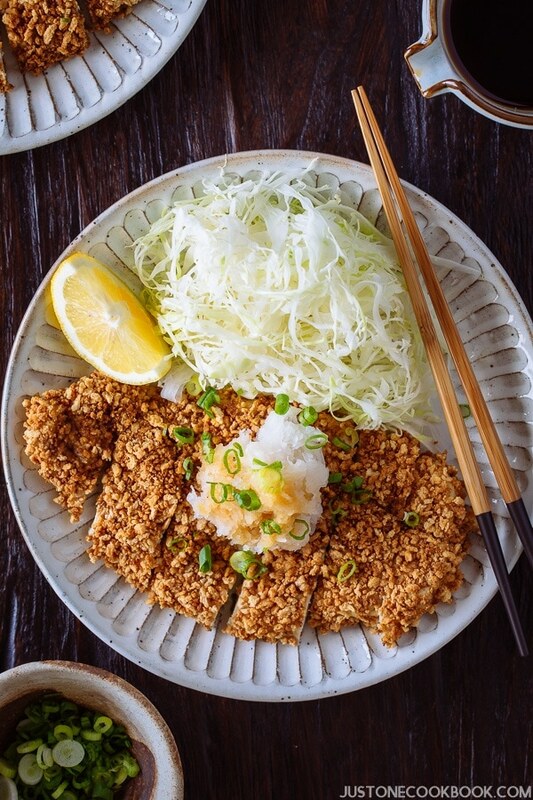 this chilled Honey Sesame Shirataki Noodles is a perfect idea for your summer meal! Shirataki Noodles, or we simply call Shirataki (しらたき) in Japan, are thin, translucent, gelatinous noodles made from a type of fiber that comes from the root of the konnyaku (konjac yam plant). This Japanese ingredient has been around for years and is used in traditional Japanese dishes such as Sukiyaki, Nikujaga, and all kinds of hot pot dishes. You can find shirataki noodles near tofu in the refrigerator section of Japanese grocery stores or Asian grocery stores. You can shop and purchase them online at Asian Food Grocer. If you do, make sure to use the coupon code: justonecookbook0517shirataki to get 10% off entire order (expires on May 31, 2017). Flavor wise, shirataki noodles almost have no taste so it’s great for absorbing flavors from the sauce or soup they are soaked and cooked in. And texture-wise, they are quite slippery, slightly more difficult to pick up than noodles. Let’s face the fact. Shirataki noodles are packaged in an awful-smelling liquid. Even though I am not bothered by this at all, but I know some of you might. It is actually just water, but it has absorbed the odor from the konjac root. It didn’t go bad, so don’t throw away. It’s important to rinse them very well under cold running water and then cook in a boiling water for about 2 minutes. This should remove most of the unpleasant odor. On a side note, unlike pasta or Asian style noodles, shirataki noodles have no starch. Therefore, after boiling they do not stick together. You can prepare them ahead of time without worrying about noodles becoming one big mess. I mentioned earlier that shirataki noodles are flavorless but absorb many flavors from the sauce. So for this recipe, I made my Honey Sesame Sauce as it goes well with noodles and toppings that I chose. If you have tried Japanese cold ramen called Hiyashi Chuka, this recipe is a variation of that dish. Hiyashi chuka is a popular summer meal in Japan, and this recipe is a lighter version of it. Shirataki noodles are called Shirataki in eastern Japan (Tokyo area), and Ito Konnyaku (糸こんにゃく) in western Japan (Osaka area). The name difference is a result of the different manufacturing methods. In the past, ito konnyaku was prepared by cutting konnyaku jelly into threads, while shirataki is made by forcing konnyaku through small holes to get the shape. 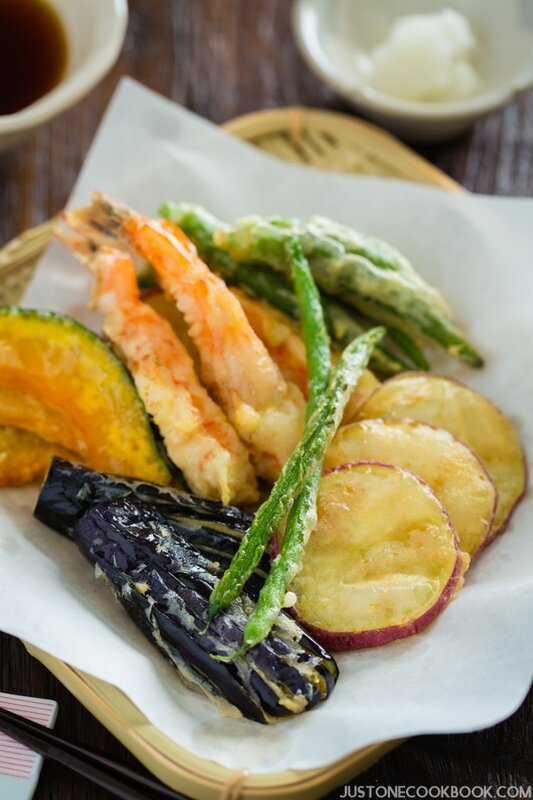 Nowadays, both are prepared using shirataki method and but the packages kept the different names in each region. Ito konnyaku is generally thicker than shirataki, with a square cross section and a darker color. I’m excited to partner with Asian Food Grocer today and give away a set of my favorite Orchids Japanese Imported Shirataki Noodles (7 oz) (4 packages in each set) to 5 lucky JOC readers! 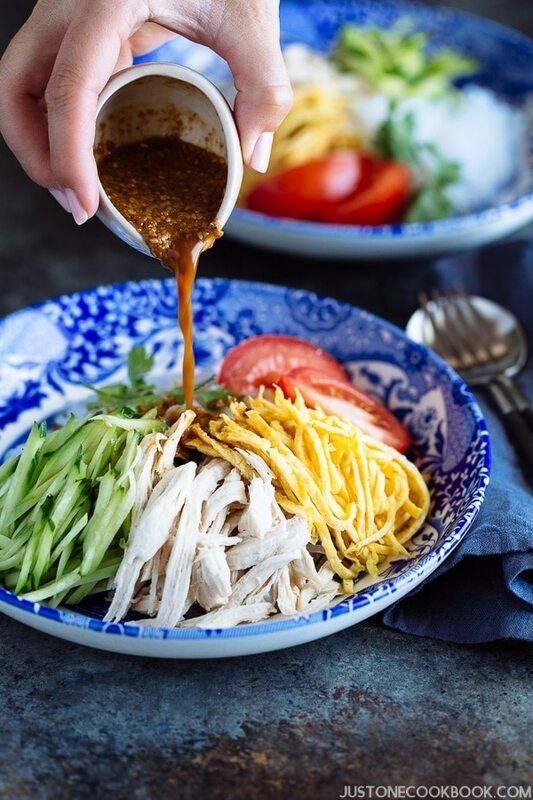 Click here to enter for your chance to win and make this delicious Honey Sesame Shirataki Noodles with me! 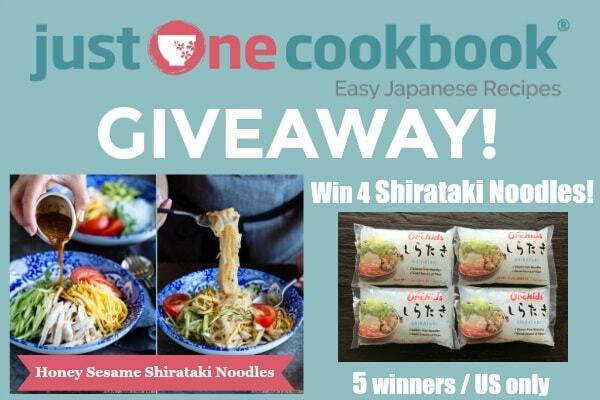 If you want to bypass and purchase them online at AFG, make sure to use the coupon code: justonecookbook0517shirataki to get 10% off entire order (expires on May 31). Cold and refreshing Shirataki Noodles with Honey Sesame Dressing. 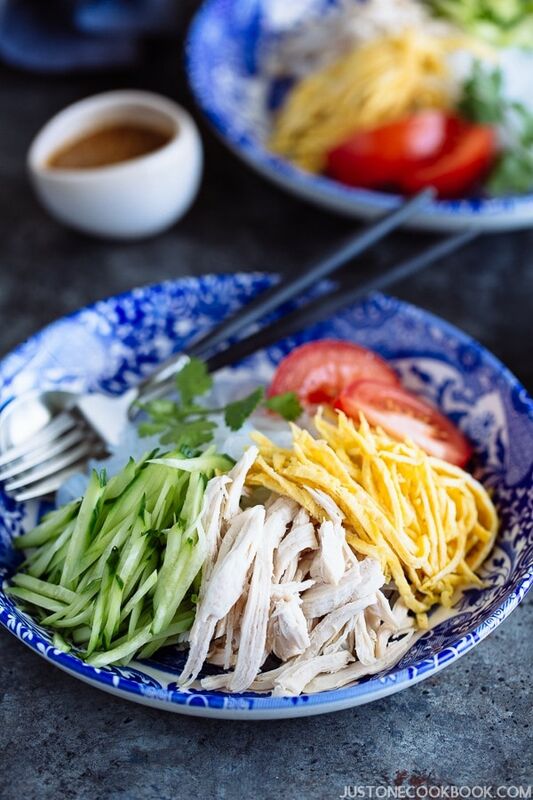 Top the noodles with shredded egg crepe, chicken, and cucumber. It's a perfect guilt-free summer noodle that is low in calories. It's Gluten Free too! In a large pot, add 4 cups water, ½ tsp salt, and 2 Tbsp sake and bring it to boil. Cut the green onions to thirds and cut the ginger into thin slices (you can keep the peel on). Add them to the pot. Butterfly the chicken breast, by cutting the length of the side of the chicken breast with the edge of your knife parallel to the cutting board. Carefully slice the breast in half widthwise until the other edge. Now you have two pieces of chicken breast. Once water is boiling, put the chicken in the pot. Cover the lid and reduce the heat to the lowest setting. Cook the chicken for 15 minutes, or until cooked through. After cooking the chicken for 15 minutes, transfer it from the pot to a plate. Cover with plastic wrap to keep the moisture and let cool. Toast 4 Tbsp sesame seeds in a frying pan (without oil) until fragrant, it will take from 3-5 minutes, depending on the heat. Swirl the pan once in a while to rotate the seeds. Transfer the toasted sesame seeds into your Japanese mortar and pestle. You don’t have to completely grind the sesame seeds. To add texture to the dressing, it’s nice to keep both powdered sesame seeds and whole sesame seeds. If you don’t have a Japanese mortar and pestle, you can use a food processor. Transfer the ground sesame seeds into a 2-cup measuring cup. Add honey, rice vinegar, soy sauce, and sesame oil. Whisk all together and set aside. Crack the egg in a medium bowl and whisk well. Add ¼ tsp kosher salt and combine well. Heat the oil in the non-stick frying pan over medium high heat. Once the frying pan is hot, add the egg mixture. Turn down the heat to low and swirl the pan to evenly distribute the egg in the pan. Once the egg mixture is set, you can flip to cook other side (optional) or continue to cook longer until the egg is cooked through. Turn off the heat and transfer the egg crepe to the working surface. Cut the egg crepe in half and thinly slice it. Set aside. Peel the cucumber but leave some strips not peeled (it looks better that way). Cut the cucumber diagonally into 1/8 inch slices. Then cut into thin long sticks. Set aside. Cut the tomato in half and cut the each half into 3-4 wedges. Set aside. Shred the chicken into thin long strips. When ingredients are in the same shape, it’s easier to combine with noodles and you can eat all the ingredients together. 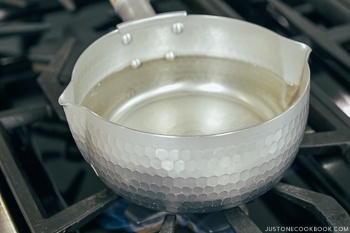 Boil 4 cups water in a saucepan for the shirataki noodle. Boiling shirataki noodles remove unwanted smell from the shirataki noodles, so don’t skip. Open the package of shirataki noodles and drain. Rinse quickly under cold running water. Once the water is boiling, add the shirataki noodles and cook for 2 minutes. Drain immediately and soak in iced bath. When the shirataki noodles are cold, drain well. On a plate, serve the shirataki noodles and toppings of your choice. Garnish with cilantro and drizzle the dressing. Full Disclosure: Thank you to Asian Food Grocer for kindly sponsoring this post. All opinions are 100% honest & completely my own. I love shirataki noodles. I always felt my mother didn’t put enough of them in sukiyaki. This looks like a recipe I will be making this summer. Hi Nami! So glad you posted this recipe. I’ve also been told by my Dr. to cut down on carbs and can’t wait to try this recipe now that the weather is getting warmer. Do you have a recipe for your umeshu? My Dad has two ume trees in the yard so we get lots to enjoy through the year. I used to call it Dad’s umeshu but changed it to Mom’s umeshu as he only picks the plums off the trees and my Mom does all the prep work, mixing and watching. We use vodka for the base. What do you use? Hi Rumi! You were also told by the doctor? It’s tough isn’t it? I love rice, noodles, bread… all carbs… Good thing shirataki noodles are fun to eat especially with delicious sauce/dressing. Sometimes zoodles don’t make me feel like I ate Asian noodles (I like zoodles too). Umeshu! I finished shooting the recipe but I haven’t had a chance to write the post yet. I’m hoping to publish it next week before ume runs . out from the stores! I use Shochu (instead of white liquor), but vodka is good choice too! This looks amazing! My husband loves your recipes! He’s the worlds worst cook, your recipes always work out perfectly! He’s tried other peoples recipes and even by following the recipes it just doesn’t work! Thank you! Great recipe! I had everything at home! It was perfect. Thank you! 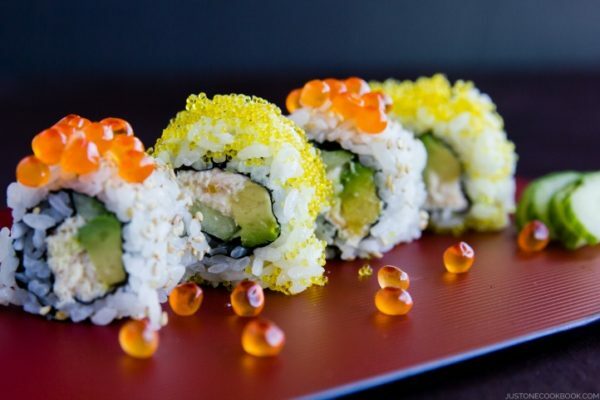 Hi Nami, this recipe looks so refreshing and yummy. Thank you for the warning about the smell. I probably would have tossed it thinking it may have been a bad bag. Will need to try this soon. Thank you for sharing. Hi Isleqt! Glad I mentioned. True, people might think it went bad. I know it’s made from Konnyaku so I expect the same smell as konnyaku. 🙂 Hope you enjoy this recipe! Great recipe you’ve got here. Ever since I had some ito konnyaku at a Japanese restaurant some years back, I’ve really been obsessing over its great texture. First, I went out of the way to a distant Japanese store to buy konnyaku blocks and sliced them into noodles. But it seemed than whenever I’d try again, they just didn’t have any on stock. So I decided to just squeeze the konnyaku jelly through a piping bag into some hot water, haha! I guess that makes it shirataki noodles now. It takes time, because I can only make one strand at a time, but it’s well worth it for now. I guess I’ll just buy a pasta squeezer eventually to make it faster. Anyway, I think I’ll be stocking up on ingredients for this recipe. I can’t wait to make it and give it to our friend, the widow of a Japanese businessman. If you can recall, I gave her some of your Chicken Curry recipe last year and she loved it. So I’ve got my fingers crossed, and I’ll keep in touch. Hi Israel! I do remember your email or comment back then when you gave the curry to the old Japanese lady who gave you thumbs up!!! Thanks for sharing your story of konnyaku adventure! It was fun reading your experiment. You must be very passionate about konnyaku to get powder and make from scratch! I’m really impressed. 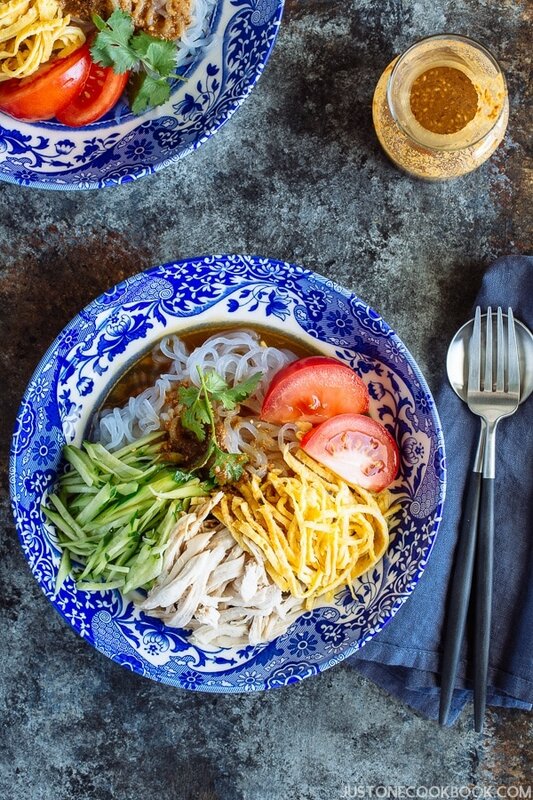 🙂 I think you’ll enjoy this shirataki noodles recipes. Homemade one must be delicious too! Thank you for writing! I’d love to spend some more time in Japan again. I follow your recipes and it always make me super hungry for Japan. I made this recipe twice this week. On the 4th of July I made it using chicken. Although my family consumed it quickly, no body was waiting in line to ask for seconds. My grandchildren said that the chicken was too bland. Two days later, I decided to make this recipe once again. This time, since I had plenty of grilled meats (brisket and rib eye) leftovers, I chopped the meat into bite size pieces, reheated it, and added in. No chicken at all. Everybody ate it and wanted seconds and thirds. I was obliged to make a second serving (on the spot) which I doubled in quantity. Everybody was raving about the meat being seasoned. By the way, all leftover meats were used to make this recipe. Again, THANK YOU Nami for such a wonderful, lovely, and easy recipe. You rescued my grilled meats. If you haven’t made this recipe, I strongly urge you to try it. It is easy to make, wholesome, and very flavorful. Hi Steve! I’m happy to hear your story about the use of leftover grilled meat! I can imagine it adds more flavor! Typically in Japan we don’t “grill” regularly (it’s more of “outdoor” event), so you won’t see food with grilled meat. Your idea sounds like west meat east, match in heaven recipe! 🙂 Thank you for your feedback! Kon’nichiwa Nami, I decide to make this recipe again with chicken. This time I used the rotisserie chicken from Costco. After shredding the chicken, I sprinkled a home made rub on the chicken and I let it sit for a couple of hour. I proceeded to use the chicken with the rest of the ingredients. Everyone in the family loved it and they said they liked the chicken with the rub. Regarding the sauce, I added two tablespoons of Umeboshi paste to the mixture. It was also great. Hi Steve! Oh adding umeboshi! That sounds delicious! When the hot weather, cold noodle dish is so easy and soothing to eat. 🙂 So happy you have been making this dish! Dear Nami. As of yesterday, I have made this dish 20 times! Yes, I have been keeping track. Everyone in my household asks for it and loves it. For the meats, the most I have used was Costco rotisserie chicken. I shred the meat and use in the salad. Next to chicken, I have used grilled salmon. The grandchildren have also asked for smoked salmon and shrimp. I also make about 3 cups of the dressing — I add a little umeboshi paste to enhance the flavor. What can I say more? This recipe has surged to the top in my household. Thank you for providing all these lovely recipes. Would you consider publishing ALL your recipes in a book? I hope you consider this idea. Hi Steve! Wow!!!! Your feedback made me so happy and thanks for sharing your tip! Love that you now have variations of protein for this dish. 3 cups of dressing! I’m very honored. Thank you! Are Shirataki noodles similar to Korean sweet potato noodles used in japchae? Wondering if I can use Shirataki in japchae instead and vice versa? Hi Linda! Oh boy! Yes, it’s 4 Tbsp, and the ingredient list says 4 Tbsp, but my step by step instruction says 2 Tbsp!!!! >_< It's been fixed. Thank you for letting me know. 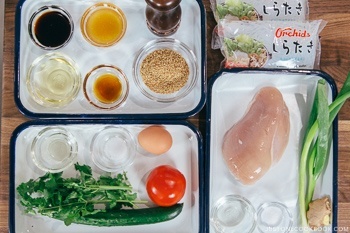 Almost a year on and I’m still making this for my bento lunches whenever I feel lazy (ingredients keep well in fridge, shirataki noodles don’t clump together and have a wonderful chewy texture, great for my diet). Hi QLevi! I’m so happy to hear you enjoy this recipe. Thank you for your kind feedback. 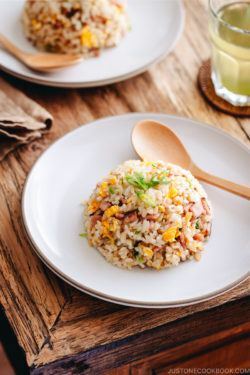 I’m thinking about it (but I have SO MANY different recipes to cover, so shirataki recipes have been pushed down on my list…), but I’m always thinking about it. Just too many recipes to work on… (which is a good thing!). I hope to work on shirataki recipe again sometime soon! 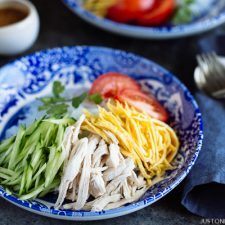 I love shirataki noodles and I would like to try making this recipe, but the shirataki noodles at the grocery store are so expensive and my family doesn’t like to buy them. Do you think you could point me to a recipe for shirataki noodles? Hi Nadia! We don’t make shirataki noodles from scratch in Japan. It has to be squeezed out from small holes and it’s usually machine made. Where do you live? 1 package is roughly $2 at Asian Food Grocer. Made hiyashi soba cause I was to lazy to go to the store. I have somen but decided to use soba instead I guess next time I will try it with shiratake. No one complained so it must have been good. I always double or triple the dressing. That way the boys have different kinds of dressing to choose from. Especially somen salad dressing. It’s getting cold so I guess I need to make more ramen. Thank you so much!!! This was the best!!! I can’t wait for warmer weather to enjoy this more! I added random vegetables by boiling them and chilling before serving.